* Total number of reviews and star-ratings are based on data collected during the time period McHales Inc. has been using the ReviewBuzz system and may not directly match the data found on each public review site. Ed and Kyle were very knowledgeable, friendly and professional. Great service! Pat came out to our business last week to do the Spring Maintenance (tune up) on all our systems. He did a thorough job; completed a couple small repairs; and made sure all of out HVAC systems were in proper working order before leaving the site. I would highly recommend McHale's and Pat to anyone. Thanks for your hard work! Andrew came out to our location last week for our Spring Maintenance (tune-up). He worked very efficiently and even did the minor repairs the same day. Pat and Kyle replaced my water heater. The work was done well and promptly. I heartily recommend McHales . Ed S. And Kyle are GREAT! 5 star service! Best in the business! Very professional! The kitchen and bathroom remodels are fantastic! We could not be happier with the work completed by Joel D., Steve S., Stan K., Harry P., and Doug M. The project was extensive and detailed, but everything came out beautiful. Plus, the McHale's team was so great to work with. I do not know anything about plumbing, wiring, electricity, etc. so I had to put all my trust in McHale's. Everyone was so nice to me, my family, and Great Dane puppy. I have shown photos of the work to my friends at work and they rave about how it looks. I 100% appreciate the work and attention they gave to out home! Ed was courteous and friendly. He explained the work needed and gave me options to keep costs low. He and his assistant Kyle did excellent work, addressing our electrical needs. I have been a McHale's customer for a few years now and and always pleased with their service. Today Pat H came for my annual furnace/AC inspection. He was very thorough and answered all my questions. He made sure I understood everything completely. I appreciate having an experienced and polite technician to come to my house. Ed S (electrician) and helper Kyle were knowledgeable, curtious and friendly. Their work was very professional. We would hire them any day. McHales is honest and reasonable. I'm sure you already know this but you are very fortunate to have a guy like Beau working for you. He was the original reason I felt so at ease with going with your company. Secondly, all of your guys that I met with your sewer crew were also exceptional, hard working individuals. Excellent job McHales! I had some major work done last week by the sewer crew here in Levittown, PA. I must say from the first day when I met Beau, their sewer expert, I was taken by the calm that came over me after he explained how they were going to make this horrible problem not as horrible and tolerable for me to live through. After surviving the major dig in and outside of my house, I must tell you they are every bit as good as Beau expressed. I have never seen a bunch of guys work so hard and so much like a team. Every one of them was extremely nice and respectful of my concerns. Excellent job guys!! A big shout out to all of you! Beau, Jim, Kenny, Nick Z., Connor, Dave, Austin and Lou. If I forgot anyone...blame Austin, he wrote down all your names for me. We were in the middle of downsizing to a new residence and overwhelmed with both plumbing and electrical tasks beyond our expertese. Thanks McHales for coming to our rescue. 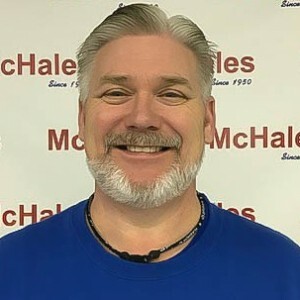 We might have already posted this on McHales' FaceBook page, but if not, we wanted to personally thank their plumbers (Mike and John) and their electricians (Ed and Kyle) for their recent assistance. We were transitioning between two homes and without their knowledge and expertese it would have been a much more difficult undertaking. Thanks again Guys ! Excellent work, professional, considerate addressed my unexpected emergency issue without even blinking! Pat always does amazing work. He is efficient and knowledgeable. It's a pleasure to have Pat show up for an HVAC call, whether it is just the bi-annual maintenance or to diagnose/fix a problem he gets the job done; leaves no mess; and the system is working better than even when he is finished with his job. Dennis came out today to start work on our spring maintenance tune-up. He works efficiently and cleans up after himself. He does not mind answering questions and is not only thorough with his work but he explains what he is doing. In addition, he will alert of us any potential issues that may arise in the future. I always appreciate how well he does his job. Customer service is always a top priority at McHales Inc.. Our BBB Membership A+ rating is like a badge of honor as we continuously strive to provide the best experience for our clients. 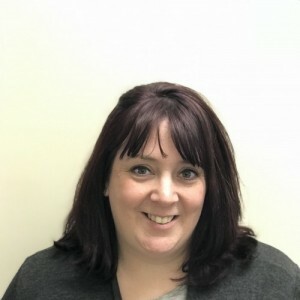 Beau R has a 5-Star rating and leads the company in total reviews, making this pro a ReviewBuzz Rockstar! 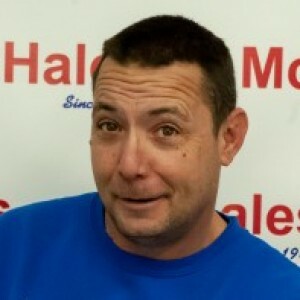 Beau is an experienced plumber with over 10 years in the field. He is OSHA and Nexstar Certified. He specializes in drain cleaning, water treatment and tankless water heaters. In his spare time, you can find him with his family or fishing on his boat at Penn Warner. He is also a New York Jets fan, so please be kind. I woke up to a completely clogged main sewer line on a Sunday and was able to schedule an appointment for first thing Monday morning through the answering service. Beau (yes, he has the same name as me) came out and attempted to snake the line as best as possible. After discovering the line was too far gone, they were able to give me a fair estimate on replacing my cast iron with PVC and installing a clean out outside. Austin, Kyle, and Marty showed up the next day at 8:30 sharp. They were able replace the clogged corroded lines and install a new toilet for me. Everyone was professional, courteous, and knowledgeable. Clean was great. Great work! 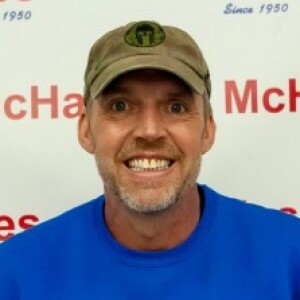 I have had 3 plumbers come out to my home and I have yet to find a plumber I was happy with until I hired mchales. Beau is extremely friendly and knows the trade well and has a great appearance. Just ask for the guy with the big red beard. The other week I had an unexpected, what I thought was a backed up laundry tub, actually turned out be a collapsed sewer line. Anyhow, I was fortunate to have had Jesus sent to my home, once again. After trying for hours to trouble shoot the “problem”, Jesus called another of McHale’s superior plumbers, Beau. Within a very short period, Beau and Jesus confirmed the worse possible. But, it was not as bad as it could have been. Had I enlisted the service of a less experienced and caring professional, I might have not had the luxury of the ultimate outcome. All in all, the end result was tremendous and not what might have been. I cannot thank Beau, Jesus, Kyle, Nick, Jim, Marty, and Connor enough. It does not end here. Kyle, and electrician that helped with the original issue informed me that my electrical outlets, in the back of my home, were not in working order. He explained to me what how the fix was an easy one and why it should be done. It had the potential to be a dangerous situation. So, Ed, which has done other electrical work at my home, and Kyle, came out the following week and did a fantastic job. I hope McHale’s retains these superior contractors for as long as they are McHale’s. I recently had a series of unfortunate mishaps in my home. And after several majorly bad experiences with a plumber whom I thought was doing the job I had paid for, found out it was not so. I did much research, took a leap of faith and called McHales’ Inc. I was tremendously impressed with their service, professionalism, cleanliness, customer follow up, and YES…they even answer their telephones. Fast forward, while the plumbing technician, Michael, was in my home he noticed my lights flickering. 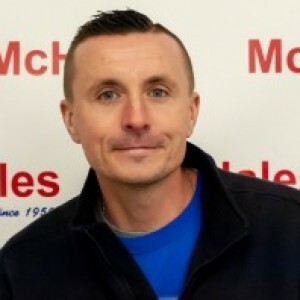 After discussing the situation with me Michael took the initiative to call his employer at McHale’s Inc. Michael related my issues to his office, resulting in the fact that one of their best electrician’s was at my property the very next morning. The electrician’s, Ed S. and his partner, Kyle, diagnosed the problem almost immediately, which had the potential to be extremely serious. I cannot say enough about their job performance, respect, care, and expertise. Now I am looking forward to Michael returning to my home to do the plumbing and installation work that I originally planned. Fast Forward...Last week Michael S. and Nick returned to my home to finish the job that I had originally called on. Michael is conscientious, meticulous in his work, took time to explain everything to me, very patient. When and if I need additional plumbing work in my home, I will always request Michael and Nick. Once again, I can not say enough about the excellent service that was provided to me. McHales just finished an underground water line repair for us. Can’t say enough good things about Beau and his crew. They were professional, communicative, pleasant and respectful of our property. 5 star job for sure! Best service on new install of tankless water system, water softener/filtration system!! Very efficient workers that were also polite & informative with the work and how systems run. Highly recommend!!! Awesome service all-around from the team that came to install our new tankless water system and filter/water softener system in one day! The work was done efficiently, effectively and with care. The team was very polite and explained everything as they were going and especially at the end!! Beau and Connor recently came back to check up on our new system a month later and were equally as efficient, polite (especially with putting covers over shoes due to snow) and provided answers to a few questions! Highly recommend! First time putting our trust in McHales Inc., turned out to be a smart decision. Excellent team of people sent to do a really big job (replacing two sewer lines). Work was completed in the time quoted and done in a highly professional way. Many thanks to Beau, Jim, Kenny, Conner and Austin. Job well done folks. The team was professional and efficient. They worked carefully, were pleasant and respectful. Their arrival was right on time. It was very helpful to have the individual profiles sent via email so we knew who to expect and know their names. We would definitely recommend them for any job. We were very impressed with the team (Beau, Connor, Austin, Luis) that did the sewer work on our house. They were professional with a great sense of humor considering the work they had to do! The job was completed to our satisfaction and the price was appropriate for the work done. 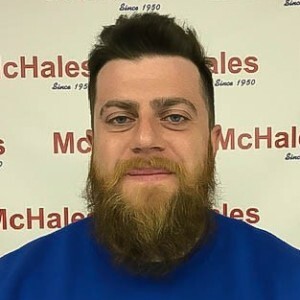 We would definitely recommend McHale to others. Beau was on call the Saturday night that I had a problem. He called me and said he would be here ASAP. He arrived told me what the trouble was and fixed it right away. I was very satisfied with his work. Beau was friendly and McHales's is lucky to have a employee like him. Beau and Ryan just finished repairing my hot water heater and did a very professional and thorough job. I will recommend these men and your company to my friends. McHales is fantastic! We’ve used them for many different issues in our home since we moved in 2 years ago. They always come out quickly and are always very professional, polite and very helpful. Most recently we had an emergent issue with our well/well pump. Nick, Beau, Connor and Austin fixed the problem within 3 days. They showed up on time, worked for hours in our tiny crawl space, and left everything clean when the job was complete! The guys were even great with my very curious 4 year old who asked a million questions and Austin entertained my dogs who had to be kept locked outside while the work was going on. They all went above and beyond for us!! These guys are absolutely fantastic and we highly recommend them!!!! Beau and his team ( Connor and Austin to name a few) provided my family with incredible service during our plumbing disaster. They were respectful to our house, our small children and even our dog. Beau took the time to explain everything to us and always answered all of our questions. I highly reccomend Mchales to anyone who needs a top notch plumbing team! You won’t be dissapointed. Knowledgeable and professional. Detailed with information.